Colin Hancock is giving his second chance his best shot. At 28, he's focused only on walking a straight line - getting his teaching degree, working out at the gym religiously, and avoiding all the places and people that proved so destructive in his earlier life. The last thing he's looking for is a serious relationship. But when Maria Sanchez crosses paths with him on a rainswept night in North Carolina, his plans are upended in a way that will rattle the foundations of his carefully structured life. 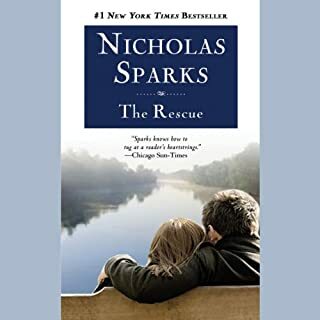 Best Book Nicholas Sparks Has Ever Written! Julie Barenson's young husband left her two unexpected gifts before he died - a Great Dane puppy named Singer and the promise that he would always be watching over her. Now four years have passed. Still living in the small town of Swansboro, North Carolina, 29-year-old Julie is emotionally ready to make a commitment to someone again. But who? Travis Parker has everything a man could want: a good job, loyal friends, even a waterfront home in small-town North Carolina. In full pursuit of the good life, including boating, swimming, and regular barbecues with his good-natured buddies, he holds the vague conviction that a serious relationship with a woman would only cramp his style. That is, until Gabby Holland moves in next door. Is there really such thing as a lucky charm? 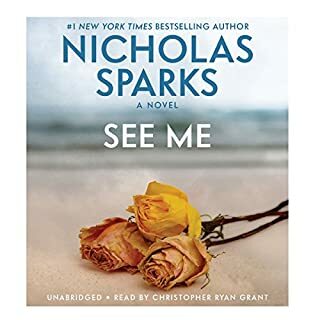 The hero of Nicholas Sparks's new novel believes he's found one in the form of a photograph of a smiling woman he's never met, but who he comes to believe holds the key to his destiny. The chain of events that leads to him possessing the photograph and finding the woman pictured in it is the stuff of love stories only a master such as Sparks can write. 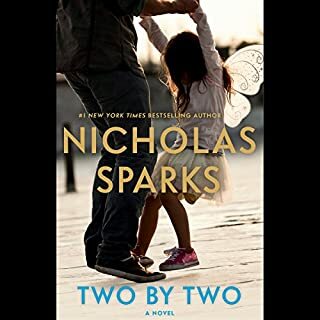 Recently selected Best Author by readers of Entertainment Weekly, Nicholas Sparks is one of America's preeminent storytellers. 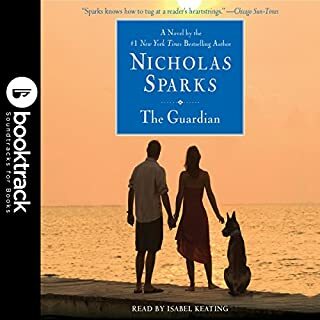 Now, Sparks spins a tale about a man, a woman, and the devastating secret that threatens to keep them apart. Hope Anderson is at a crossroads. At 36, she's been dating her boyfriend, an orthopedic surgeon, for six years. With no wedding plans in sight, and her father recently diagnosed with ALS, she decides to use a week at her family's cottage in Sunset Beach, North Carolina, to ready the house for sale and mull over some difficult decisions about her future. Tru Walls has never visited North Carolina but is summoned to Sunset Beach by a letter from a man claiming to be his father. A safari guide, born and raised in Zimbabwe, Tru hopes to unravel some of the mysteries surrounding his mother's early life and recapture memories lost with her death. 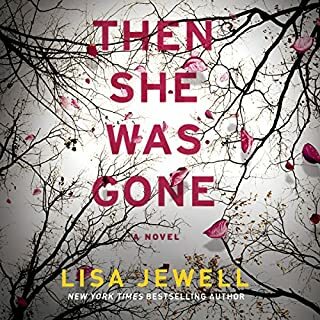 When the two strangers cross paths, their connection is as electric as it is unfathomable...but in the immersive days that follow, their feelings for each other will give way to choices that pit family duty against personal happiness in devastating ways. Illuminating life's heartbreaking regrets and enduring hope, Every Breath explores the many facets of love that lay claim to our deepest loyalties - and asks the question, How long can a dream survive? This story of chance, fate, life altering decisions, and circumstance that will penetrate your soul, leave you happy, sad, and give you chills when you hear what the universe conspired on the behalf of this couple. The author admits that the story is true, but agreed to publish it under Fiction in order to get the participants to agree to have their story published. Don't skip a thing. Listen through from the prologue to the epilogue. You'll be inspired and in awe. 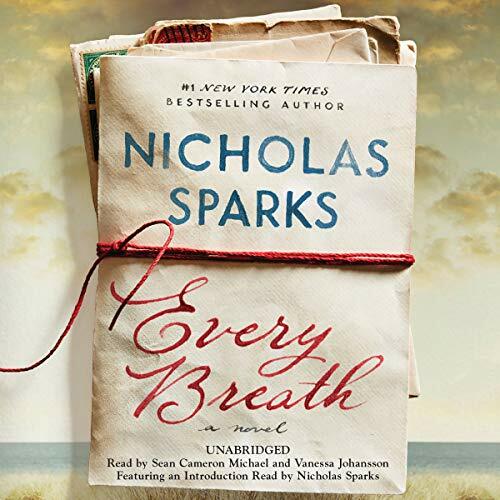 Nicholas Sparks knocked it out of the park with this book! I didn't like this at all including the character voices. I hung theough the entire book dreading having to pick it back up again to press start because I hated the voices so much. I wandered constantly because of the narrative. Now on I am going to make sure the narrator appeals me. Wonderful book! I couldn’t stop listening! Nicholas Sparks is the best love story author! I actually don’t like love stories in general. I’m a true cynic after two failed marriages and several long term relationships. I personally don’t believe in love anymore. However, Nicholas Sparks is such a good writer that a love story in his hands almost makes me believe in love again! it may have been a perfectly fine book, but the narration is awful. The narrator tries to speak in a woman's voice and it's torture. I really wanted to enjoy this story but can't listen for more than a few minutes. Nicholas Sparks is an amazing storyteller! I rarely write a review but I have to say that this is an amazing love story. The performance with each character was amazing and when put together kept me wanting to listen even when I should have been doing other things. Now I am thinking that I want to see the places described in the book!!!! The book is a bit boring. The best part was that it was based on a true story... until the author says it was not a true story in the after note. I felt a bit tricked b/c the author's intro makes you believe it was a true story. I was intrigued after hearing the introduction. While the intro led you to expect some creative license by the author, I did not expect a total deception. When Hope and Tru were reunited, the story-line seemed forced - just a fill in the blank type scenario. She refused to marry him because she wanted to birth children! That's not love! Love is sacrifice. He's a doormat for continuing to pine for her after basically being told you are not a whole man because you can't give me what I want!! This is not the anticipated drama I was searching for. I can't imagine this one will be chosen for adaptation unless a total re-write is done. This story in no way draws you in and keeps you engrossed like the Notebook. I need to look back to see which Sparks' books I've actually read versus seen the movie adaptations. The dialogue felt very elementary (especially in Part 2); more like a first time novelist rather than a successful one. The emotion was lacking, the plot was deficient, the timeline ridiculous, the ending missing. You never really get to know the characters. If this book was my first introduction to Sparks, it would be my last. I was very disappointed. Near the end I just kept wanting it to be over. Really Sparks? Has to be one of his worst! I've ready EVERY Nicholas Sparks book out there. He is my favorite author! 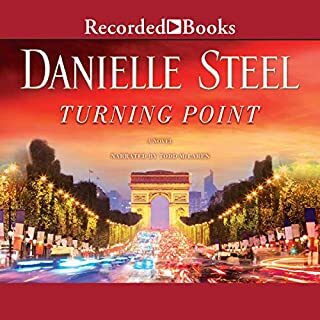 I listen on audible then purchase the hard copy of the book just to have. I must say this has been the worst or one of his worst books ever. The story started off as a love story where two people meet. Then jumps to when they're 63 years old. There's so much that was left off. It felt like a high school reunion 30 years later. Absolutely awful.